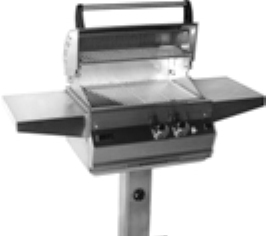 NOW you can have these features in a true stainless steel Post Mount gas grill! The post is designed to be sunk in the ground approximately 18". A natural gas line would be fed up the post to the control panel.